Well established health system's home care /hospice division has a need for an experienced Hospice RN Case Manager to see patients on the North Shore in the Gloucester, MA area. Full-time position, Monday-Friday. No weekends or evenings required. Primary nurse provides quality nursing care to identified Hospice patients. The scope of the primary Hospice RN includes direct patient care, coordination of patient and patient advocacy. Patient includes the individual, family/significant other and community. Must be comfortable with issues relative to end-of life care, death and dying.Community Health Network is a staffing agency that specializes in hospice, home healthcare, case management and physical therapy. 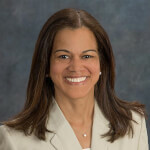 Michelle Murray has been President and CEO of Community Health Network since she purchased the company from Kathleen McDonough in January 2018. Michelle brings a background of acute care hospital nursing experience from Brigham and Women’s Hospital and Yale New Haven Hospital combined with over 20 years in healthcare staffing and recruitment. Michelle looks to take what is already a quality driven organization and introduce new opportunities and ways to address the needs of both her staff and clients. Michelle is a member of the Home Care Alliance of Massachusetts and the Massachusetts Home Health Executive Leadership Circle. She is certified in Interview Management and is a NAPS Certified Personnel Consultant. Michelle received her Bachelor of Science in Nursing from Boston College. She lives in Bolton, MA with her husband and three children.